I have a dilemma! My dear husband has bought me tickets for a theatrical performance of Shakespeare's Much ado about Nothing. I hear you asking "what is the problem?" My dilemma is that the performance is in July and is outdoors! Given that we have had snow this week in Sherwood, what will the height of Summer bring? So, what should I wear? 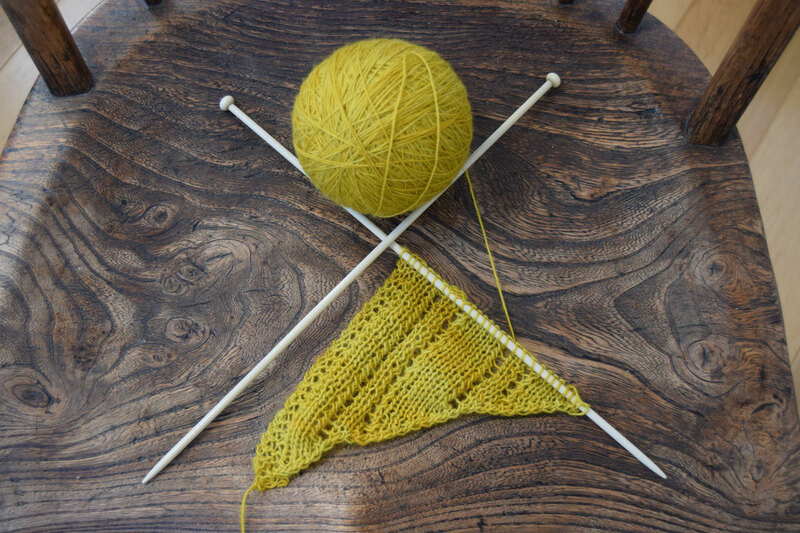 After much deliberation, I have decided on an asymmetric shawl in Falkland merino lacewight, but what colour? 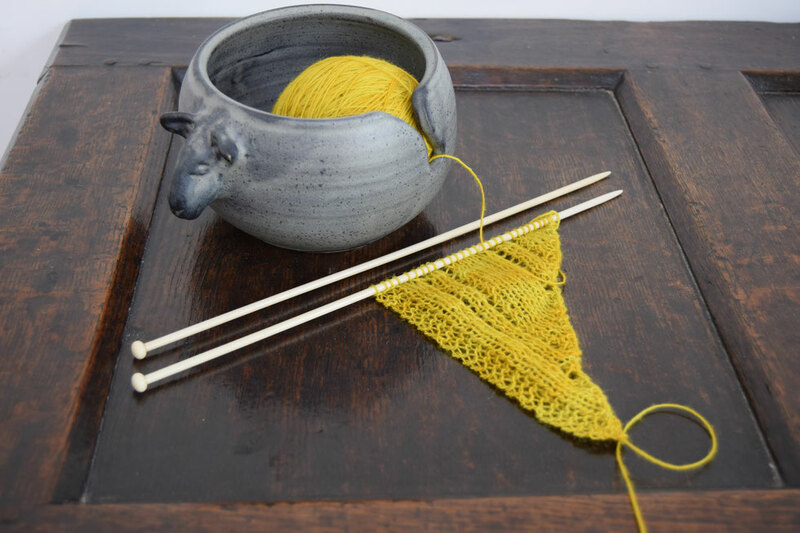 I am at this moment in time in love with the colour Marian, a gorgeous golden yellow with mustard overtones. Thank you, I love the sheep design! Ah, the eternal question, what should I wear? I love the striking colour and the classical pattern you have chosen for an elegant summer night outdoors. It will enhance whatever you will wear with it, and it's good to be ready for any kind of weather caprices. We had a thick blanket of snow again here yesterday as well, but it looks like there will finally be light at the end of the tunnel soon.